We offer a high quality range of Pneumatic Conveying Systems. Manufactured in compliance with set industrial norms & standards, our Pneumatic Conveying Systems is highly demanded in various industries. Avail Pneumatic Conveying Systems at most competitive prices. Incorporated in the year 2001, R.P.J Engineer is a prominent Manufacturer and Supplier of a wide variety of machines that include Bran Finisher, Destoner Machine, Drum Sieve Machine, Grain Grinding Machine, High Pressure Fan, Planshifter Machine, Pneumatic Conveying Systems, Reel Machine, Screw Conveyor, and Vibrating Classifier. Our company is headed by Owner Mr. Rajendra Sharma who has vsat experience of 10 Years in this domain. 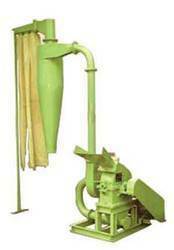 R.P.J Engineer is a trusted Manufacturer and Supplier of a wide range of machines, based Vadodara, Gujarat. We present you with Bran Finisher, Destoner Machine, Drum Sieve Machine, Grain Grinding Machine, High Pressure Fan, Planshifter Machine, Pneumatic Conveying Systems, Reel Machine, Screw Conveyor, and Vibrating Classifier. Our company was started with the experienced founders. In 1990, our company was started with one product as Double Diagonal Roller Flour Mill and one by one entered in complete flour mill turnkey project with all own manufacturing items. Being a client centric company, we have been successfully catering to the requirement of the client by offering them with an impeccable range of products. These machines are thoroughly tested before dispatching to the clients on various parameters such as durability, construction and high performance. This enables us in supplying a qualitative range of products and we ensure timely delivery of the products.